From March 9-11, the annual spring Massachusetts Association of Student Councils (MASC) conference was held in Hyannis, MA. Seventeen student government members represented RHS at the conference. One highlight of the conference is the Gold Council award. This award is the highest level of recognition a council can receive within the state of Massachusetts. 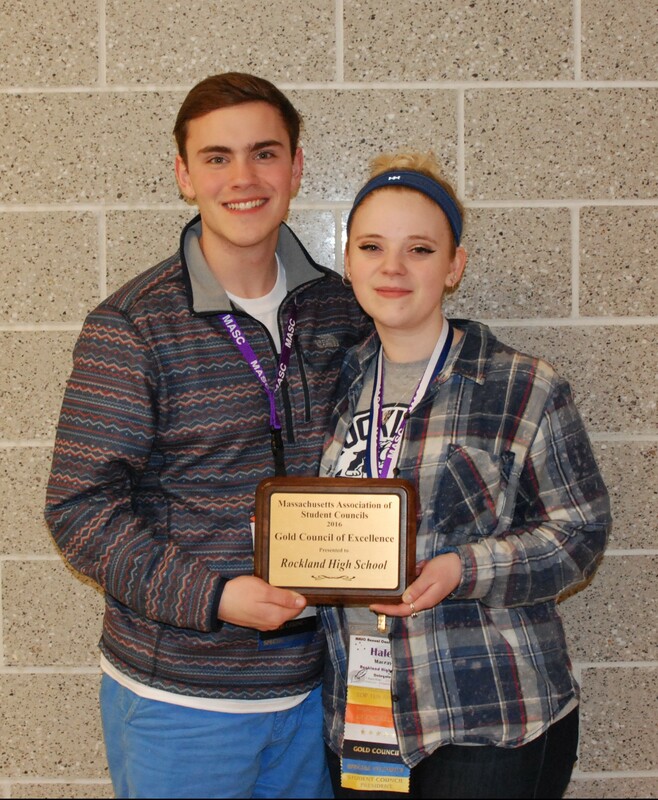 At this year’s MASC conference RHS received this coveted award for its sixth straight year. The MASC conference consists of activities, workshops, and presentations by motivational speakers. It provides students with the opportunity to learn and bring forth important leadership skills. Student council members from all over Massachusetts, ages fourteen to eighteen years old, participated in the conference. 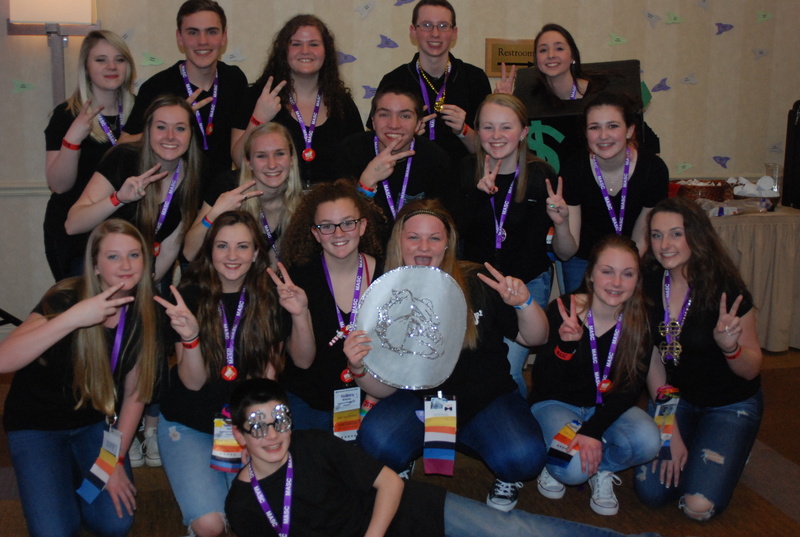 John Ellard, RHS’s freshman class president, reflected on his first time attending MASC. President of Rockland High’s Student Council, Haley Macray said, “MASC helped build a foundation for me.” She added that each year she has attended MASC, she has learned new skills and ideas to bring back with her to RHS. Ashley Pezzella, SEMASC President and Rockland High senior has participated in MASC the past four years. Pezzella said MASC has “given her the courage to go out and do new things.” Pezzella said “My classmates have made every year better each year I attended, and meeting new people not only helped me be involved with Rockland’s council but with others too.” Pezzella has made an impact being on the state board, as SEMASC president and being on Rockland’s council. Ms. White was responsible for the choreography for the lip sync. White said that she loves to contribute to the lip sync. “I get to be creative and we get to see different students come out of their shells when preparing,” she said. This year the 3rd Annual Polar Plunge took place. This is a fundraiser to raise money for the Special Olympics of Massachusetts. Students around the state decided to wear costumes in order to make their experience of jumping in the frigid ocean a little more exciting. Caitlin Yannizzi, RHS senior and vice president of student council received an award for tying with another student as the top fundraisers for the Polar Plunge at the conference. Yannizzi said she wants to make a difference in special education children’s lives.